Help the medics transport the patient to the nearest hospital with the Rescue Ambulance. 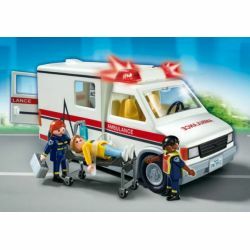 The Rescue Ambulance's lights and siren can be activated to signal that a rescue is in progress. 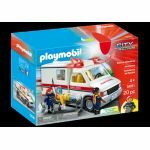 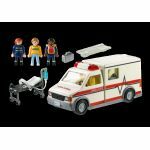 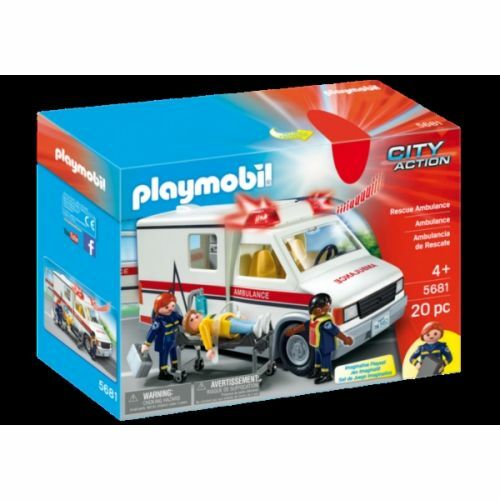 Set includes three figures, stretcher, and other accessories.